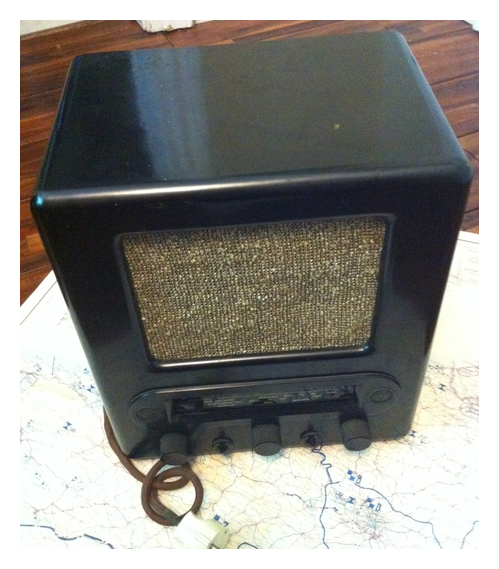 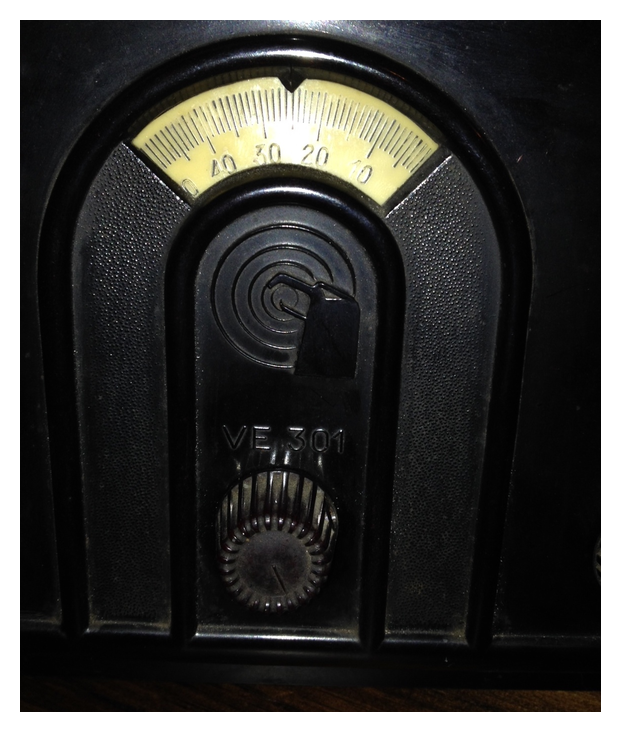 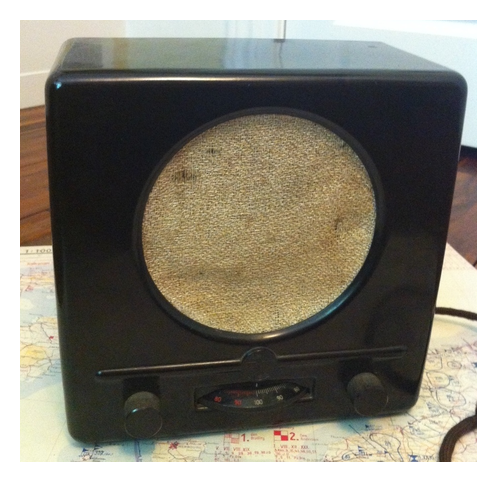 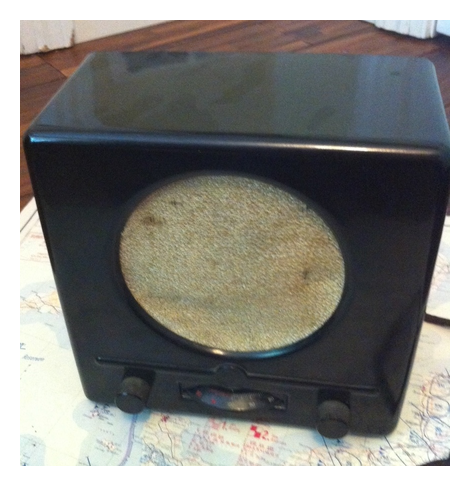 This is a Volksempfänger 301W Model radio. 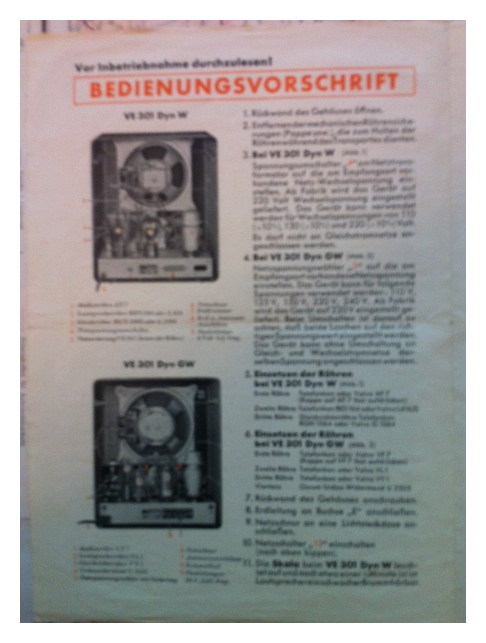 These were produced in large numbers and subsidised heavily before being sold onto the German public. 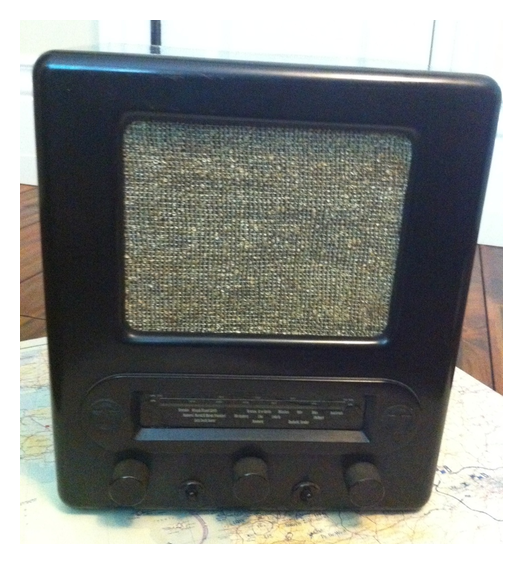 These radios lacked shortwave bands which prevented them from being used to listen to foreign radio stations like the BBC. 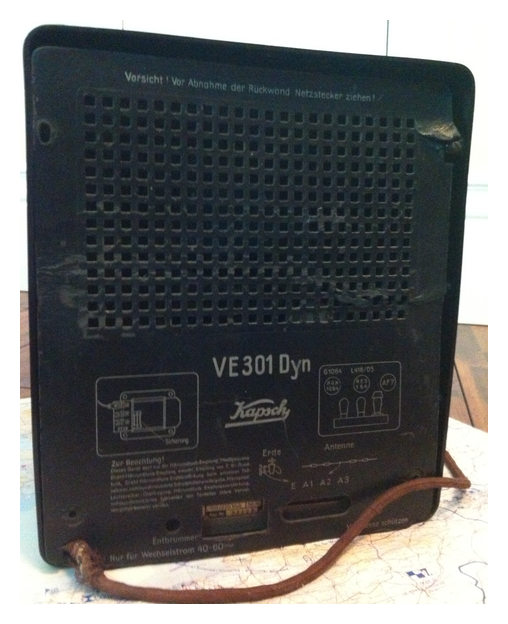 I have the other VE301 model on this site as well. 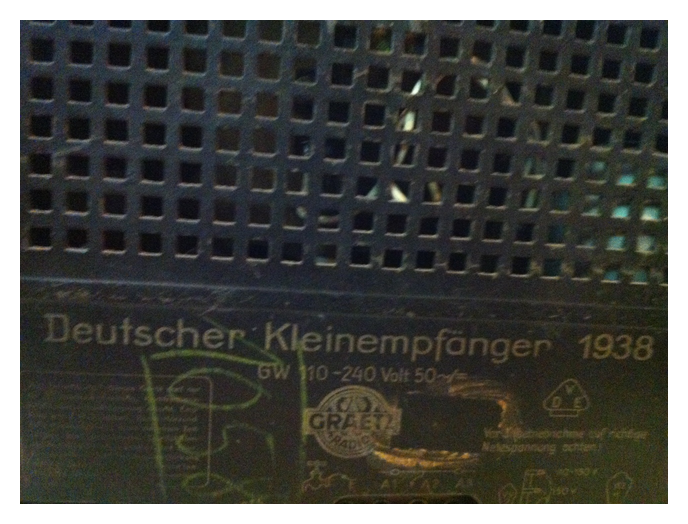 The cabinet design was produced by noted industrial designer Walter Kersting. 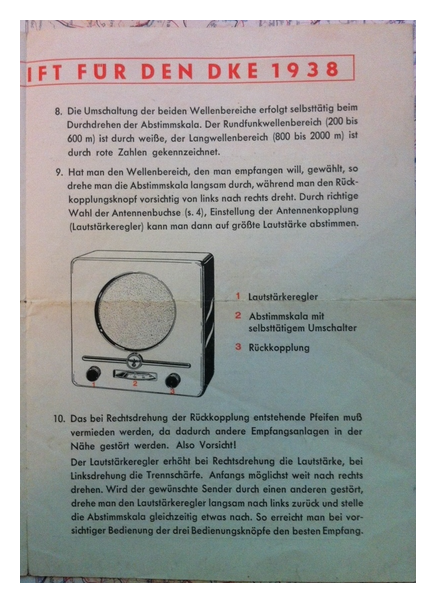 This is the technische betriebsanleitung or operations manual for the DKE38 Radio. 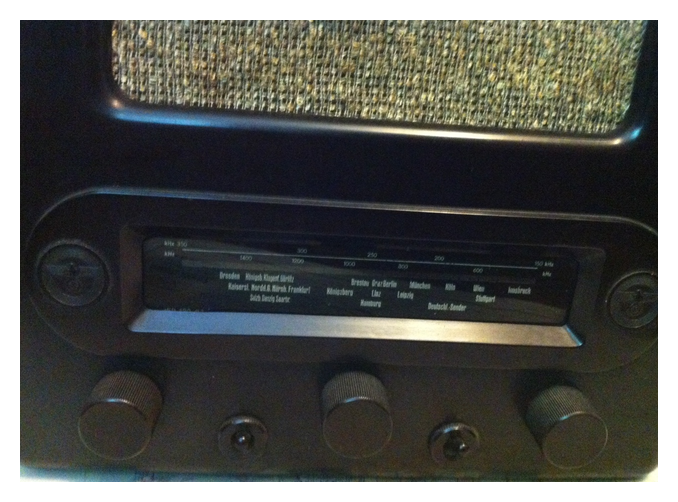 I have the radio here. 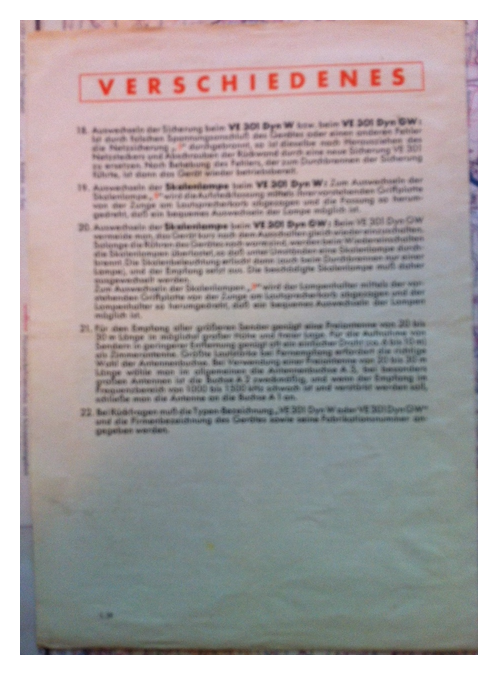 The original Volksempfänger VE301 model was presented on August 18, 1933 at the 10. 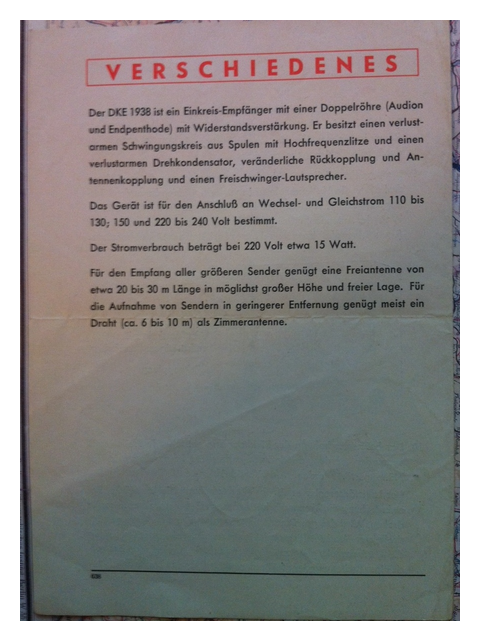 Große Deutsche Funkausstellung in Berlin. 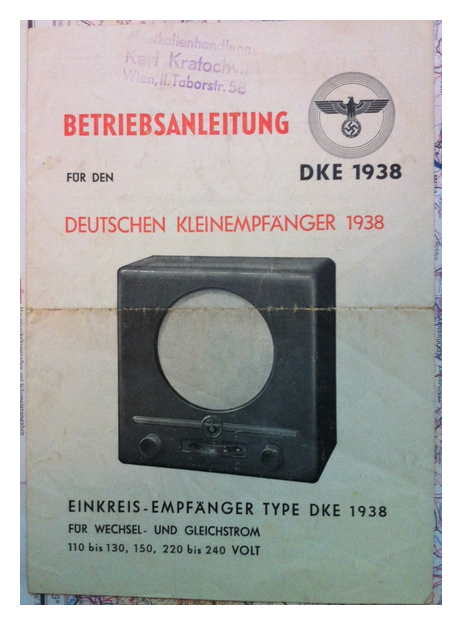 The VE301 was available at a readily affordable price of 76 German Reichsmark (equivalent to two weeks’ average salary), and a cheaper 35 Reichsmark model, the DKE38 (sometimes called Goebbels-Schnauze – “Goebbels’ snout” – by the general public) fitted with a multisection tube, was also later produced, along with a series of other models under the Volksempfänger, Gemeinschaftsempfänger, KdF (Kraft durch Freude), DKE (Deutscher Kleinempfänger) and other brands. 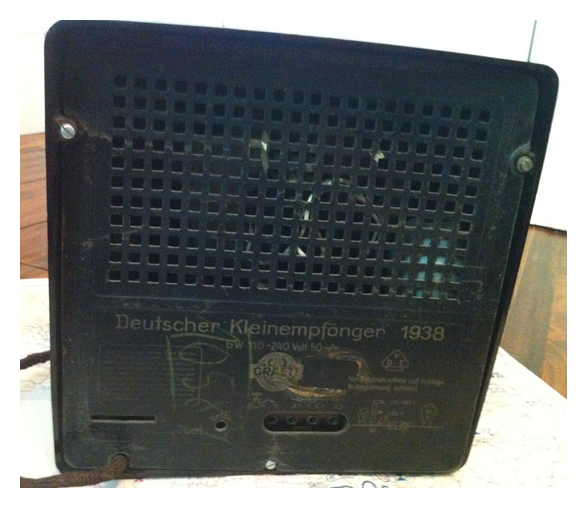 This is the DKE38 Model. 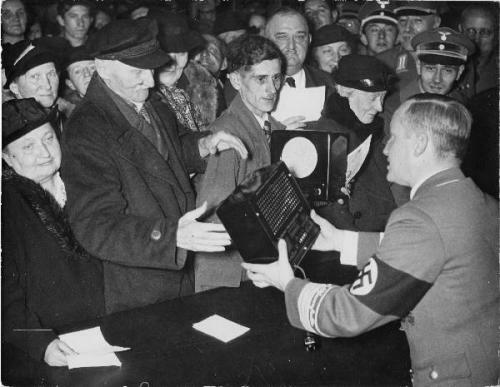 Distribution of Volksempfangers: Birthday of the Reich Minister Goebbels was held on 29 October, the distribution of 500 new small receivers to needy fellow of the Berlin Gau in Broadcasting House in 1938. 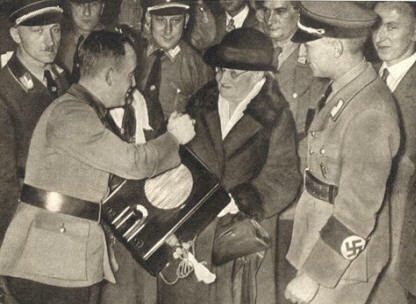 Gaupropagandaleiter Werner Wächter distributes the receiver. 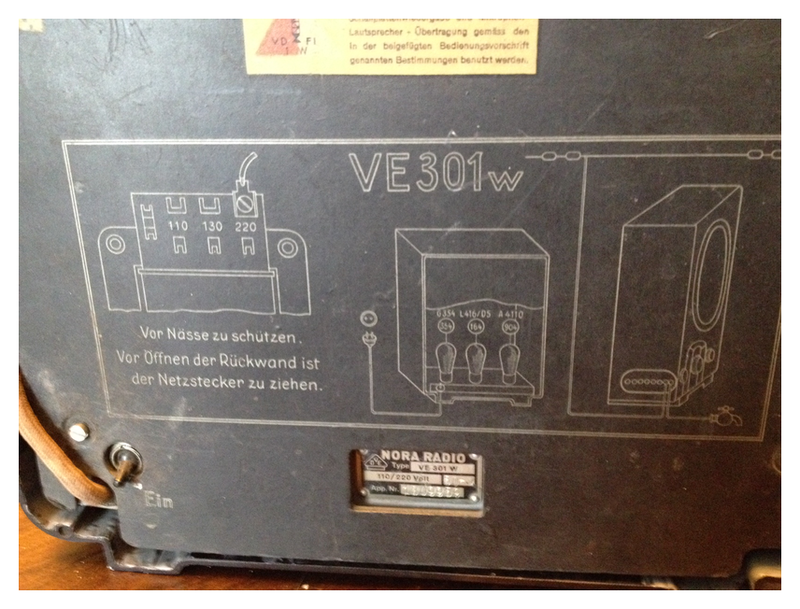 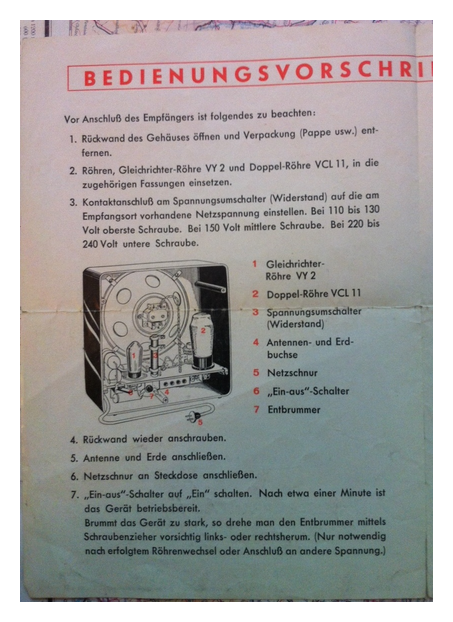 This is the technische betriebsanleitung or operations manual for the VE301 Radio. 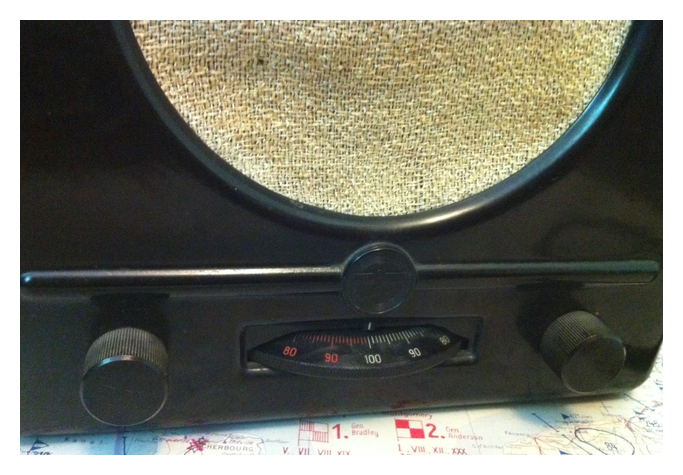 I have the radio here. 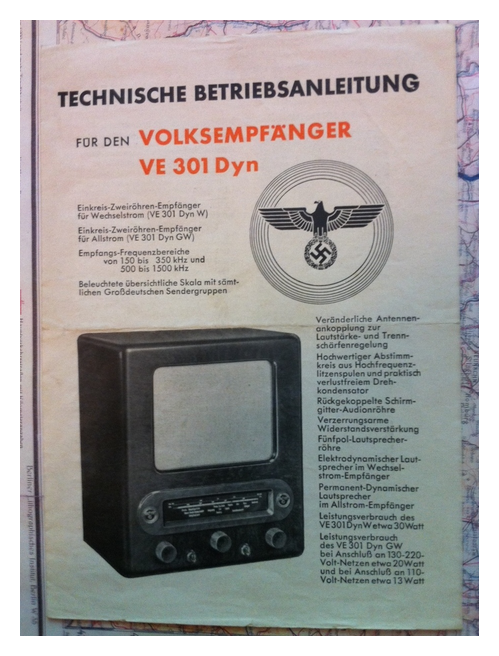 The Volksempfänger (German for “people’s receiver”) was a range of radio receivers developed by engineer Otto Griessing at the request of Propaganda Minister Joseph Goebbels. 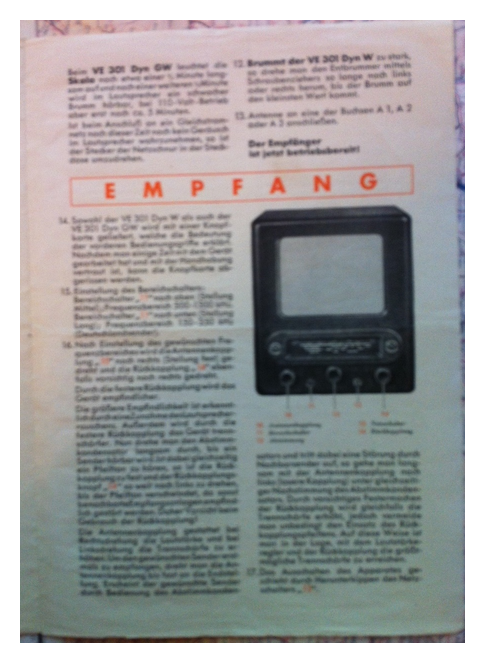 This is the first, larger model, the VE301. 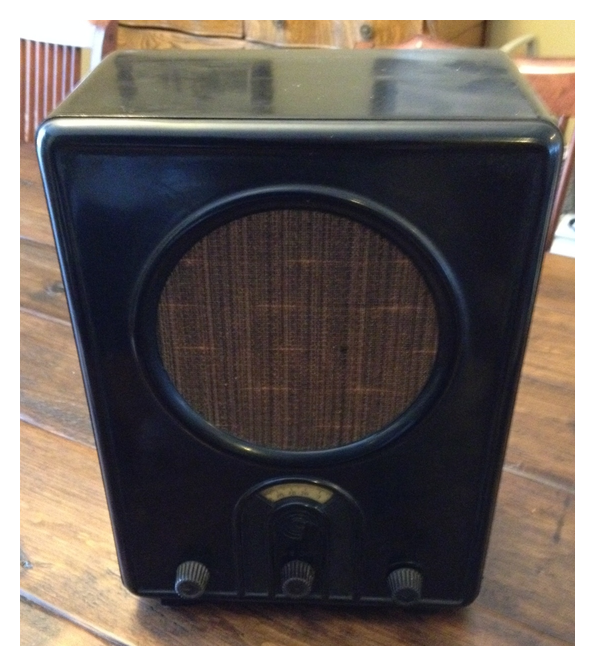 It sold for 76RM when it was introduced in 1933. 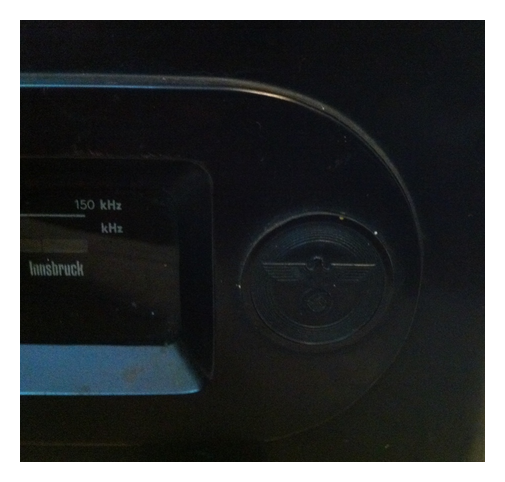 Note the Nazi eagles on the bakelite front above the knobs.